This bicycle is a "dwarf" style safety type, with wheels of unequal diameter (36 inches and 22 inches). A "Kangaroo-style" geared-up chain drive is fitted to the larger front driving wheel. The cranks, each with a short chain, are fitted below the wheel hub. The bicycle has a tubular frame, radial, steel spokes and solid rubber tyres. 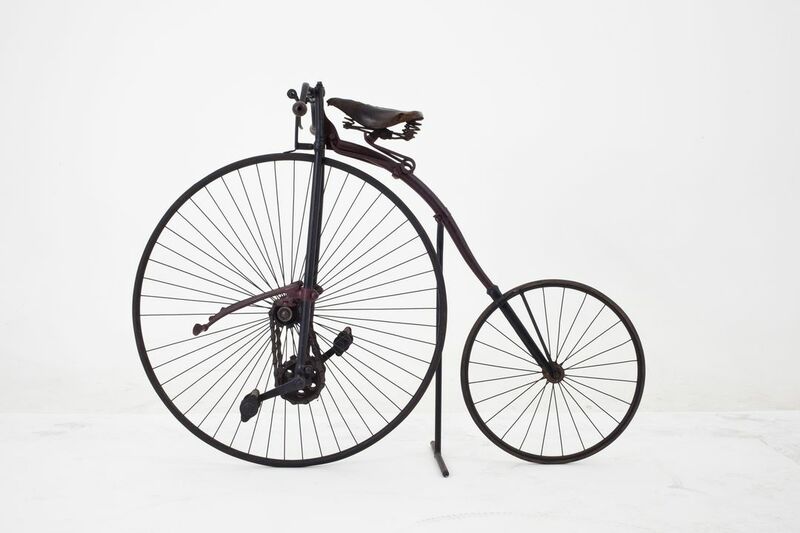 It is believed that this bicycle was made by Cooper, Kitchen & Co., of Yorkshire because of the unique round front fork arrangement with double-sided open head. The dropped handle bars have wooden handgrips. A lever and spoon brake on the front wheel operates by pulling a lever on the right handle-bar. It is considered that this is not an original one. The rider's seat, an Arab cradle spring saddle by Brooks, is also not original. Other fittings include footrests on the front forks for resting the legs when travelling down hill and a rear step for mounting which is an unusual triangular shape down to the hub of the rear wheel. This is possibly a later addition. The bicycle is finished in black. Rear solid rubber tyre: "John Bull North Pole Patent [1 x 4]. The bicycle was donated to the Museum in 1965 by Bennett and Wood Ltd, through Mr W.H. Bartrop, Production Manager, Joynton Ave, Zetland, NSW.